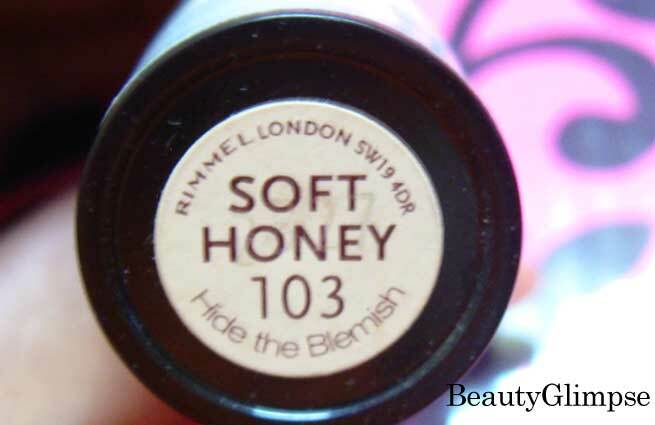 Rimmel London Hide The Blemish Concealer (Soft Honey – 103) effectively conceals spots, blemishes and under-eye circles. Dermatologically tested. Rs. 325 for 4.5 gm. 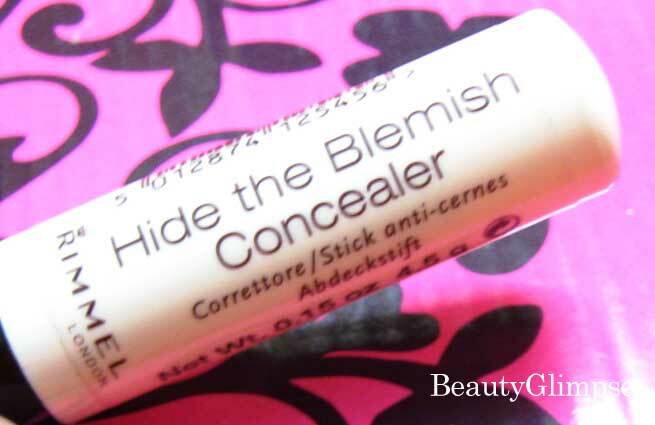 The Rimmel London Hide The Blemish Concealer comes in a stick form and its screw-up packaging is quite similar to the traditional twist-up packaging of lipsticks. There is a cream-colored cap over a dark chocolate base. To apply the product, you need to open the cap and rotate the base. The entire process works very smoothly. However, the cap becomes extremely tight each time I close it. Well, it is totally okay for the transportability of the product. In fact, this feature of the packaging makes this concealer stick handy and a travel-friendly one. But I need to put extra pressure on the cap whenever I need to open it, which results into cracks around its edge (you can see these in the images). Let me start with the availability of shades of the product. Rimmel offers 5 shades in its Hide The Blemish Concealer range, but most of them are too pale to go with dusky Indian skin tones. I picked the shade ‘Soft Honey’ (103), which is basically a medium shade with a yellow tone. Fortunately, it suits my skin and doesn’t give me a ridiculous look. The product is nothing but an amazingly creamy concealer stick that is extremely easy to apply. The texture of the product is so creamy and moisturizing that it glides easily on the skin. It is neither too dry nor too oily, which makes it a great choice for all types of skin. 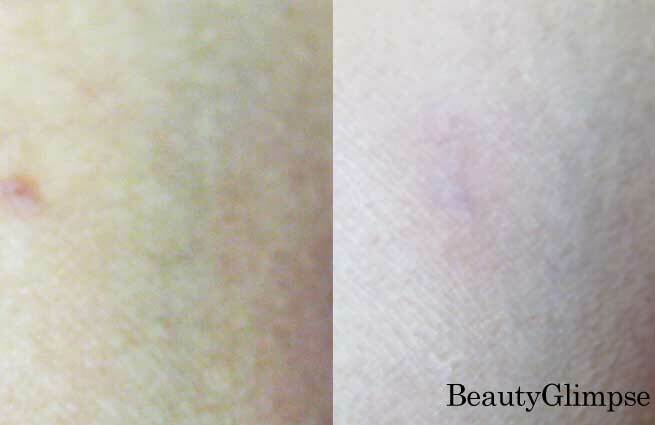 The claim of the product that it conceals spots and blemishes effectively is very much true. It blends very well and does wonder to hide all those spots, marks and blemishes present on the skin. I had a few marks of pimple on my cheeks and this concealer offers perfect coverage for them. Being a stick, it works better for spot application rather than other similar products. However, this is not at all a good choice for camouflaging deep under-eye dark circles. I used it for hiding my dark circles only once and ended up making the area look completely ashy. To be honest, I don’t think that this concealer is capable of hiding even minor dark circles. You definitely have to increase your budget and choose something better for this purpose. Though under-eye dark circles were my primary concern and this concealer did very little to it, I’m still happy with it. It works as a good eye primer and it has wonderful staying power. You can expect it to stay on your skin anywhere between 4 and 6 hours, which is really good for this price. Definitely ‘No’ if you are looking for a reliable solution for your prominent dark circles. Otherwise, it is a nice product and you should give it a try.